Perrier is a natural bottled mineral water that is of French origin. It is known and easily recognized because of its distinctive green bottle and higher levels of carbonation, compared to other bottled water brands. The source of the Perrier Water is from a spring in Vergèze which is a commune in the Gard department located in Southern France. The spring where the water is drawn was known as Les Bouillens. It was originally used as a spa since the Roman times. In 1898, Louis Perrier, who is a local doctor, bought the spring and operated a commercial spa. Aside from the spa, he also bottled the water from the spring and offered the bottled water for sale. Below are the latest Perrier prices. Dr. Perrier sold the spring to St John Harmsworth who is a wealthy British visitor who came to France to learn French. Harmsworth decided to buy the spring and when it was in his ownership, he closed the spa as spas were already becoming outdated. Then, he renamed the spring and called it Source Perrier and bottled the spring water in distinctive green bottles which resemble Indian clubs as Harmsworth often use it for exercise. The bottled spring water was marketed in Britain and was advertised as the champagne of mineral water. Since that time, anything French was perceived to be chic and motivational for the middle class, sales rose up and for a time, 95% of the sales came from Britain and the United States. In 1992, Perrier was bought by Nestle, which is considered to be one of its rivals. Nestle was already one of the largest food and beverage companies in the world, but they had to contend with the Agnelli family for the ownership of Perrier. Being regarded as the champagne of mineral water, Perrier Water is often described as elegant, sparkling, and refreshing. It has provided sparkling and natural mineral water for over 150 years already, and has served many generations with its unique water with distinctive bubbles and mineral contents. 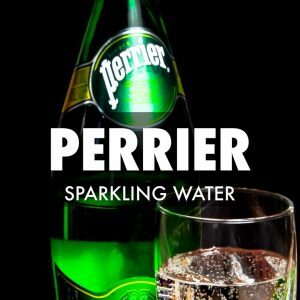 Basically, Perrier Water is a unique combination of three special kinds of waters: one that permeates through an aquifer, one which trickles down through cracks in limestones, and another one which is a highly mineralized hot water with natural carbon gasses and minerals. Perrier Water is not your ordinary bottled water because it also serves as a great alternative to carbonated drinks, without the sugar and added calories. 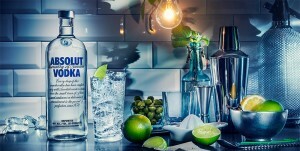 Many people like it because it is thirst quenching and is also perfect for cocktails and mixed drinks because of its crisp carbonation. Perrier is available in glass bottles, which come in 20 centiliters, 33 centiliters, and 75 centiliters and also in plastic bottles, which come in 50 centiliters and 1 liter. Aside from bottles, you can also buy it in slim cans, which come in 25 centiliters and 33 centiliters. The water in the distinctive green bottle come from a natural source just like it has always been, many years ago. When fresh rainwater falls on the plains and hillsides of Southern France, it seeps into the limestone, sand, and gravel deposits. From there, the water is naturally filtered while also acquiring the minerals which give Perrier Water its crisp and nice taste. The water travels through layers and layers of porous limestone, cracked marl which is rich in calcium carbonate, and pure white sand. The latter is responsible for sustaining the clarity of the water. Then, after the long travel, water is collected at the source which is protected by an eight to fifteen foot layer of impermeable clay. This added protection helps ensure that the water source will be guarded from any contaminants. What makes the Perrier Water unique is its carbonation, which is caused by molten rock or volcanic magma trapped within the geologic strata. When the magma superheats and the ground water infiltrates the calcium carbonate layers, carbonated gas is formed. The gas then rises and carbonates the mineral water, hence, the bubbles. Aside from the original sparkling water, there are also variants of Perrier Water with natural flavors. The flavored variety is a refreshing variation which quenches the thirst and works great with mixed drinks too. The available flavors are lime, lemon, and grapefruit, which all provide a tangy and fruity twist to the original Perrier water. Perrier Water with natural flavors is available in 33 centiliter slim cans and in 50 centiliter and 1 liter plastic bottles. What Makes Chivas Regal so Popular?